SUDIPEN, La Union – The mayor of this town and two others were killed after they were fired upon by two still unidentified armed men on board a pickup that went side by side with their service vehicle along Bangar- Castro Provincial road, Barangay Cadapli Tuesday evening. Senior Superintendent Herminio S. Tadeo Jr., PRO1 Officer In-Charge, identified the victims as Alexander Oliva Buquing, Municipal Mayor of Sudipen and his wife Wendy Joy Dingayan Buquing, Municipal Vice-Mayor of same municipality, Boni Bacate Depdepen, driver, all residents of barangay Castro, Sudipen, La Union and PO2 Rolando Cayat Juanbe PNP member assigned at Sudipen Police Station, La Union. Tadeo said that while the Toyota Hi-Lux driven by Boni Depdepen was traversing east direction when allegedly, fired by unidentified suspects on board a color white pick-up with unknown plate number, coming from behind until the victims’ vehicle swerved and rested at the road canal. As a result, all victims suffered multiple gunshot wounds on the different parts of their bodies. Mayor Alexander Buquing and PO2 Juanbe were rushed at Ilocos Sur District Hospital, Tagudin for treatment but pronounced Dead on Arrival. Depdepen and Vice Mayor Buquing were brought to Lorma Medical Center, San Fernando City, La Union but Boni Depdepen was also pronounced Dead on Arrival. Vice-Mayor Buquing is presently confined in the hospital for medical treatment. Tadeo instructed Bangar Police Station to maximize their efforts to solve the case immediately and identify the suspects and the owner of the vehicle used in the killing. A Special Investigation Task Group headed by Senior Superintendent Ricardo G. Layug Jr., Provincial Director, La Union PPO and being supervised by Senior Superintendent Adolfo Samala, Deputy Regional Director for operations, was created and activated to facilitate the speedy resolution of the said case. 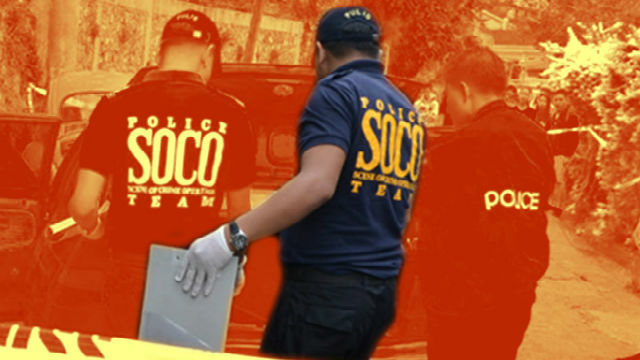 Probers are still zeroing in on the motive of the brutal murder of the local chief executive and his two companions and that all angles of the case are being studied for the eventual identification of the culprits behind their brutal murder.